I started this book once before and didn’t get past the first few pages, so I was less than thrilled when one of my classes chose this as their next novel. This time, I dove into the book knowing that I had no choice but to finish, and to my surprise, I liked it. 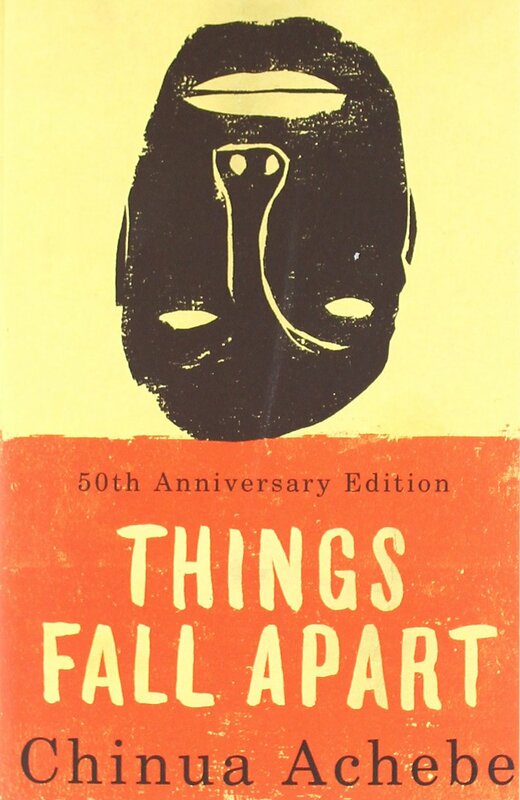 It begins with what seems like a random array of disconnected events in the life of Okonkwo, the main character, and until about midway through the novel, I wasn’t exactly sure where it was headed or if there was a point. Following Okonkwo’s fall from grace in his village and the subsequent serving of his punishment, the underlying issues began to reveal themselves. I’ll be honest, it took some reading of literary critiques for me to pick up on issues that I’m sure I should have picked up on my own. We’ll say I was so concerned with figuring out the point of the story that I entirely missed the point of the story until I got to the very end (and even then, I had the help of some literary analysis). Okonkwo’s view of honor and gender roles cloud his judgement throughout the story. And while he embodies some of the values of his clan, his drive to be a man and live up to what he believes a man should be comes at the expense of others in his life. He is terrified of becoming like his father-which is pretty easy to relate to, considering many of us see the negatives in our parents and strive to correct those flaws in ourselves-but avoiding any comparisons becomes an obsession, one with, ultimately, dire consequences. I am surprised to say that I would recommend reading this book. It can act as a warning against narrow minded focus and an unwillingness to adapt to a changing world which is an increasingly relevant warning as our world continues to change at an astonishing speed.